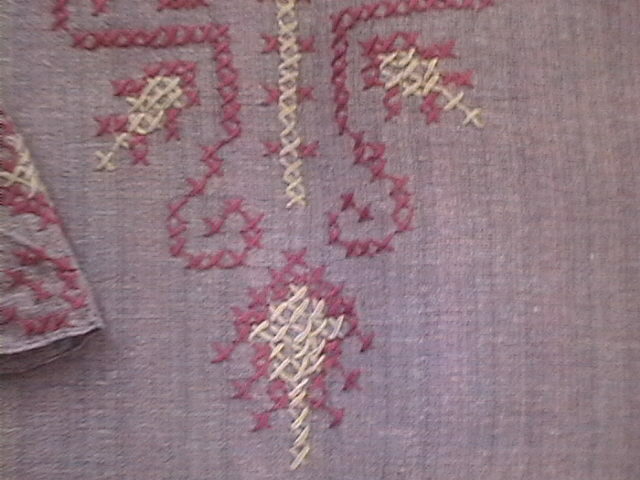 This cross stitch neck pattern was in a pattern book bought in India. It was done on white tunic. This fabric is mauve colour semi-tussar ,bought in Kalpadruma, Chennai. 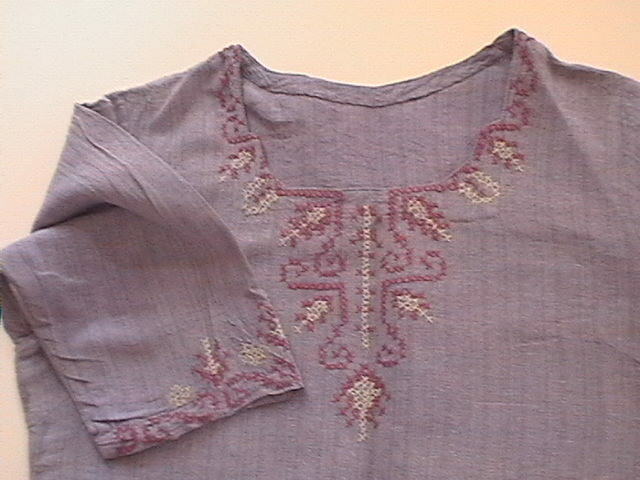 Waste canvas was used to embroider this cross stitch pattern on neck and sleeves. Four strands of Dark pink and white colour threads were used. I had to dry wash this fabric, which I did not know then.So, the original texture of the tunic was lost. It looked well worn after the first wash!